This Balloon Turkey is a great craft to keep kids happy while waiting for the real turkey to be ready. Put one of the older teenagers in charge of the activity. Inflate a balloon for each child. Attach a ribbon and tie it to a chair or table leg. Have the children draw and color feathers on lightweight paper. Then, have them cut out the paper feathers and either tape or glue them to the top of the balloon. 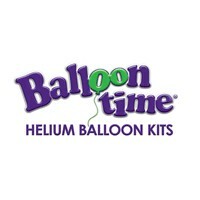 They can also draw, color and cut out a face or draw it directly onto the balloon. Use the turkey crafts to decorate for your Thanksgiving feast. Have a few turkeys prepared before the guests arrive. If you decide to make these as a group craft, seeing one completed will help the children construct their own. This is such a fun idea! I think I’ll have my grandkids make a flock this year!